IMVU (Instant Messaging Virtual Universe) is a popular chat room messenger. It provides social entertainment where users can have 3D characters for meeting new people and socializing as well as creating and playing games. It has its own application for Mac but this doesn’t help much and you are restricted to using IMVU via its website only. Moreover, IMVU may have spyware. 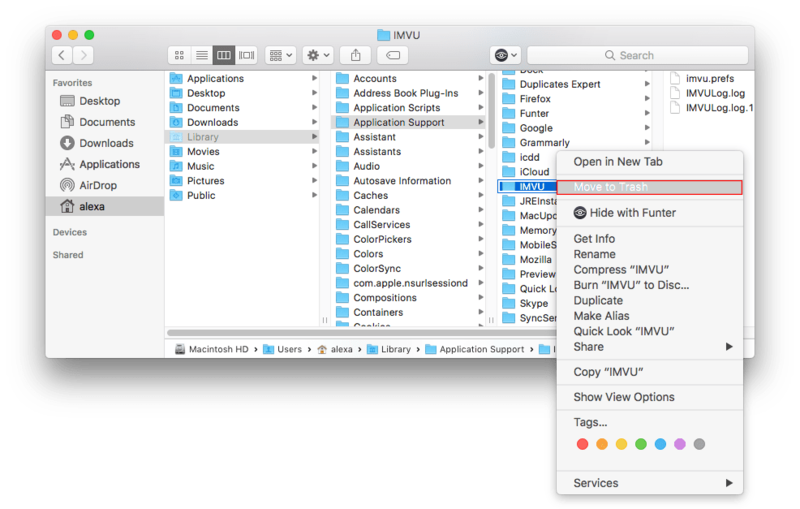 If you are looking for ways to uninstall IMVU, follow this guide to remove the application correctly. How to delete IMVU from computer manually. 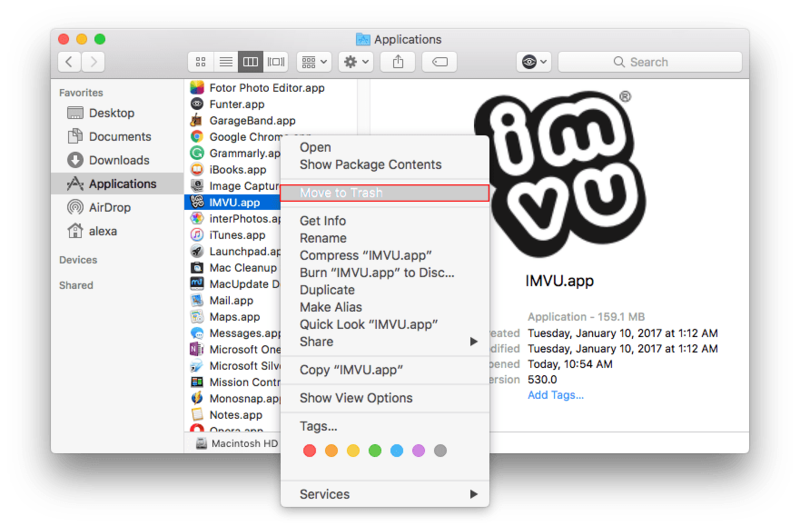 How to delete IMVU with App Cleaner. Quit the application from the Dock Panel. Open the Applications folder, locate IMVU and move it to the Trash. The first step of uninstalling IMVU has been done. Now you have to find and clear all its cache and support files. They are stored in the Library folder. 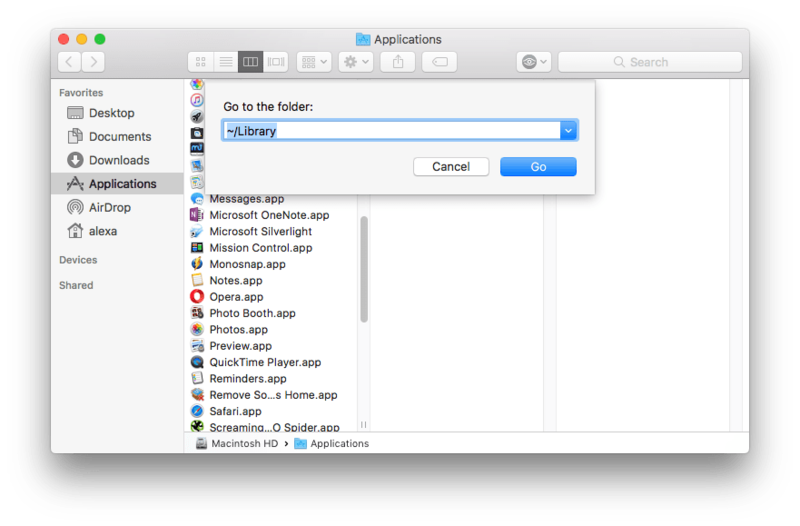 Open Finder and from the Menu Bar click “Go” → select “Go to Folder…” → in the search field type ~/Library. Find in the Application Support subfolder all items related to IMVU and move them to the Trash. * We would recommend that you use a free application Funter to find all the IMVU support files. 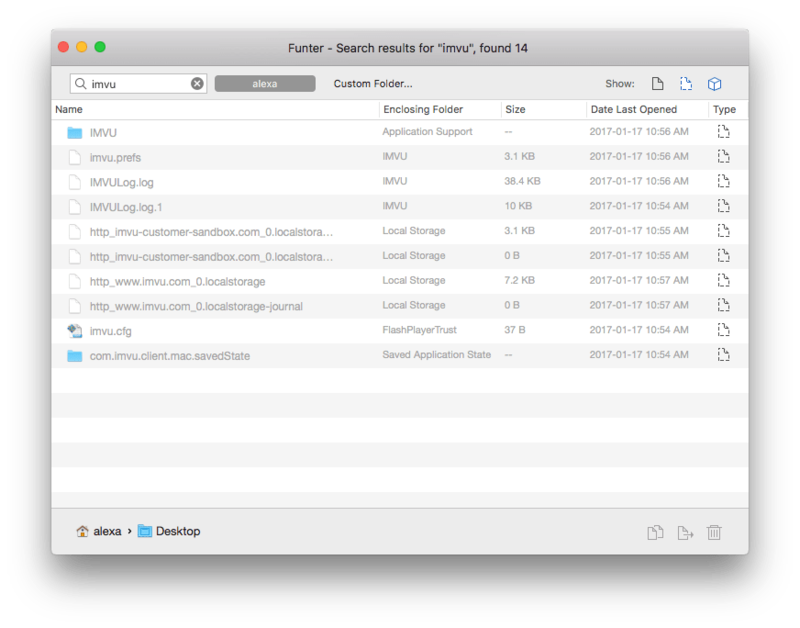 This allows you to find any file by name, including hidden ones, and operate them. Congratulations! Now you know how to delete IMVU from a computer. But before moving on to the uninstalling process, learn the easier way to uninstall IMVU or any other program. You may have noticed that the manual uninstalling process takes up a lot of your time. 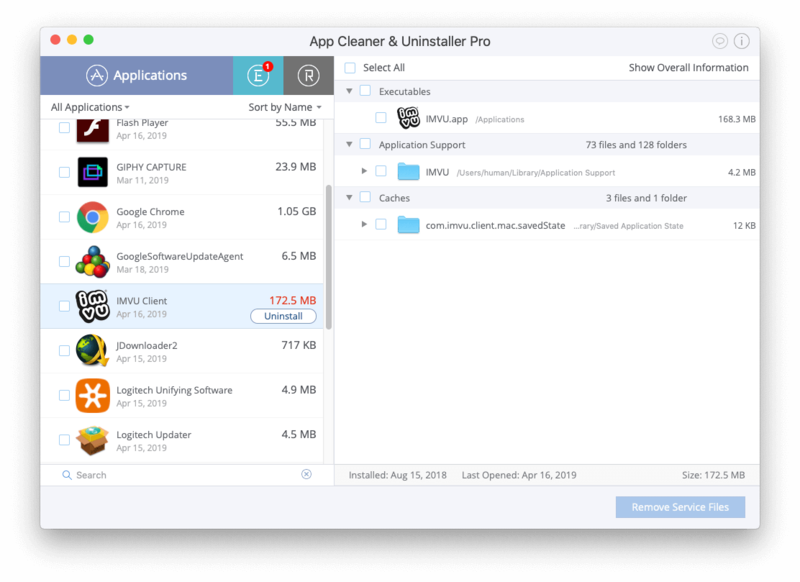 If you prefer a quicker method of apps removal, you would like App Cleaner & Uninstaller Pro, which deletes programs completely in one click. Just run the uninstaller → select IMVU Client → click to uninstall it.